Breathtaking scenery, the marvellous Mediterranean, imposing mountains and crystal-clear waterfalls are just some of Alicante's awesome attractions. Alicante and the Costa Blanca have more than 200 kilometres of beautiful coastline with sandy beaches stretching further than the eye can see. More than 20 million holidaymakers from across Europe head for the region every year because of its warm welcome and tourist attractions. The beaches are the main draw with fine sandy beaches, picturesque coves and clear waters attracting sun worshippers, snorkellers, divers and water sports enthusiasts who find plenty to explore along these shores. Golf, cycling, hiking and tennis are also major attractions as well as the theme parks, rural interior and fabulous cuisine. Each Costa Blanca resort has its own special identity. In the north, there is Denia which is famous for its restaurants and castle, Javea is a family resort with many great chillout bars. 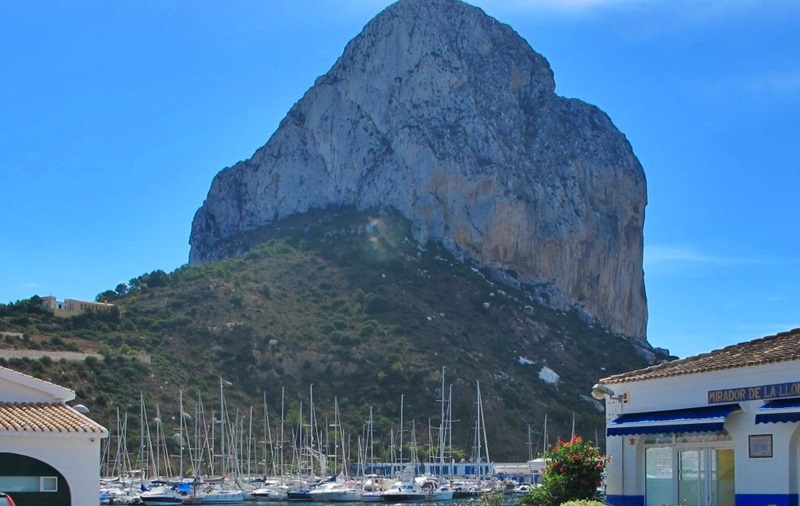 Calpe has the iconic Penon de Ifach rock jutting out to sea. Altea is a magnet for artists and has interesting blue-domed buildings in the old town. Moraira is a favourite with celebrities – check out the marina if you fancy a spot of star gazing. Everybody has a soft spot for Benidorm with its great beaches and bustling nightlife. Further south, Elche is world-famous for its many palm trees and shoes. Torrevieja is another popular family seaside resort. Villajoyosa is home to the luxurious – and very moreish – Valor chocolate. Talking of food, the Costa Blanca is world-famous for the paella with hundreds of varieties on offer. Other regional dishes will bring out the best of the exquisite Denia prawn, Mediterranean fish and shellfish as well as salads, sweets and ice-creams. Many restaurants serve menu del dia (daily set-price menu) offering regional dishes at a very reasonable price. After sampling the local cuisine, you may need to burn off a few calories or excess energy. You could go for a dip in the hotel pool, play a round of golf at one of the region's 17 courses, try a water sport, go cycling in the mountains, walk up the Montgo nature reserve or take the kids on a white knuckle ride at one of the theme parks in Benidorm or Torrevieja. 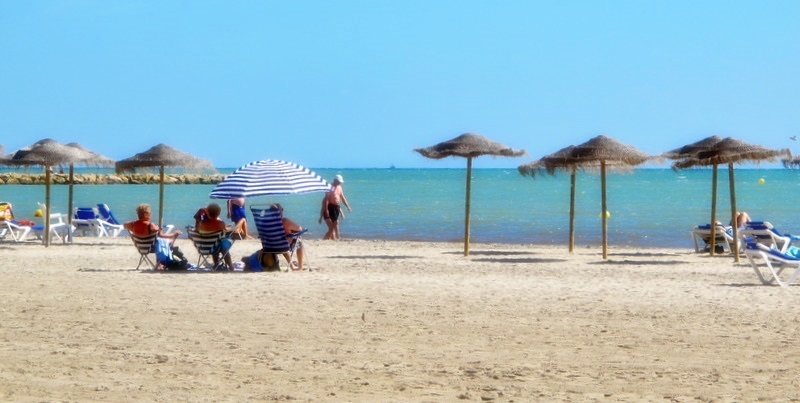 Whatever you fancy doing, the Costa Blanca has it covered. You needn't worry about the cost either as the Costa Blanca has hotels and campsites to suit all budgets. Getting here is not a problem as many low-cost airlines including EasyJet, Ryanair, Air Berlin, Monarch and Thomson fly into Alicante airport where you can pick up a hire car from one of several leading companies to explore the Costa Blanca.